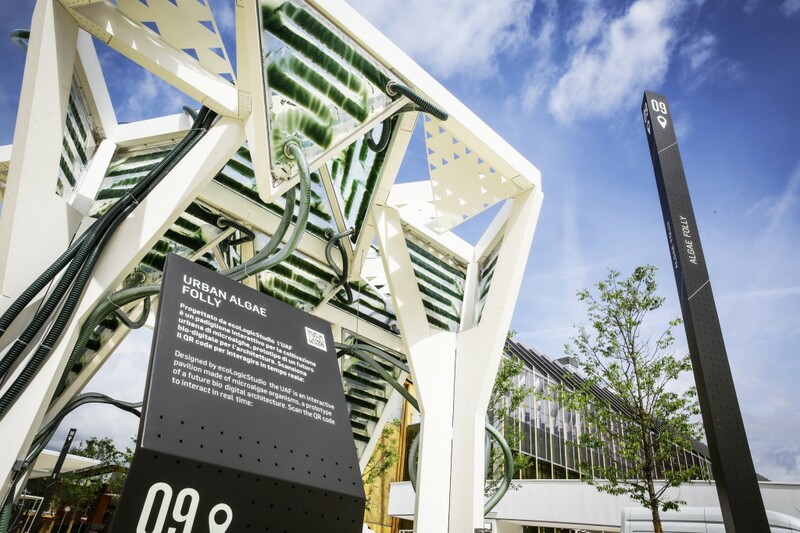 In the public square of the EXPO Milano 2015 Future Food District are on show some of the most interesting and innovative solutions of building integrated urban agriculture. 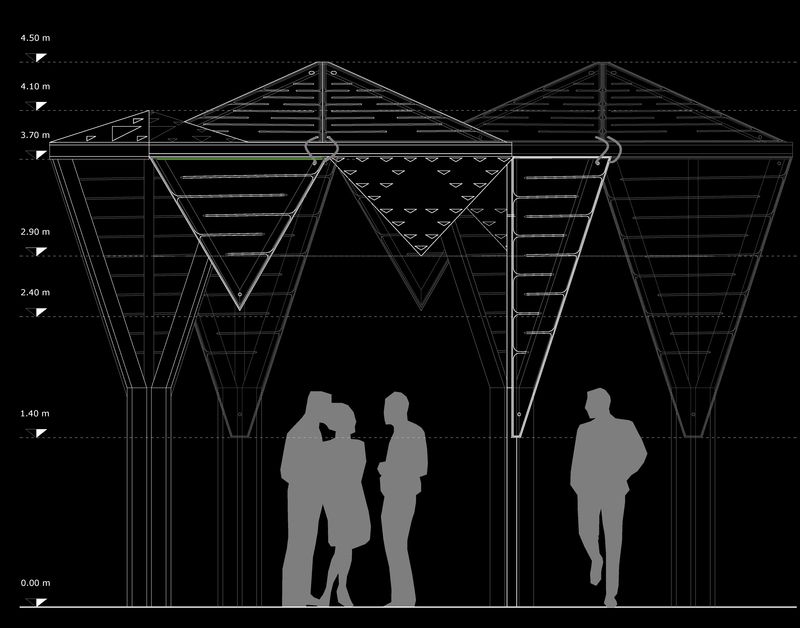 The Urban Algae Folly, designed by ecoLogicStudio and located at the District’s entrance, is an interactive pavilion integrating living micro-algal cultures, a built example of architecture’s bio-digital future. Microalgae, in this instance Spirulina, are exceptional photosynthetic machines; they contain nutrients that are fundamental to the human body, such as minerals and vegetable proteins; microalgae also oxygenate the air and can absorb CO2 from the urban atmosphere ten times more effectively than large trees. 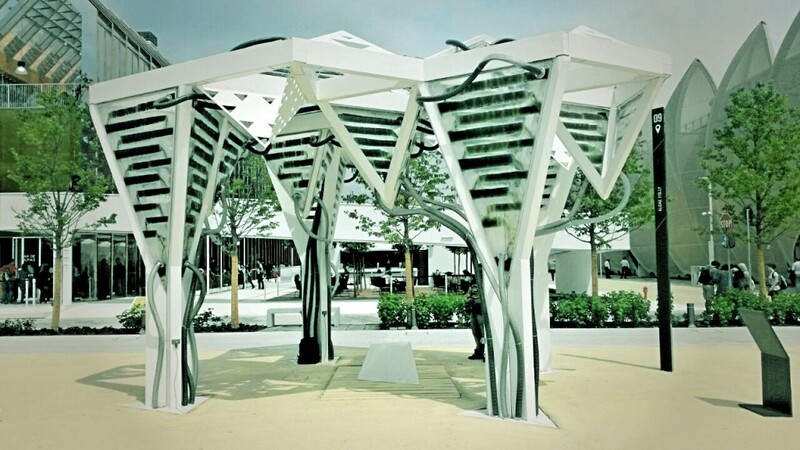 The innovative architecture of the Alge Folly originates from the evolution of the well known ETFE architectural skin system; in this instance it has the ability to provide the ideal habitat both to stimulate Spirulina’s growth and to guarantee visitors’ comfort. 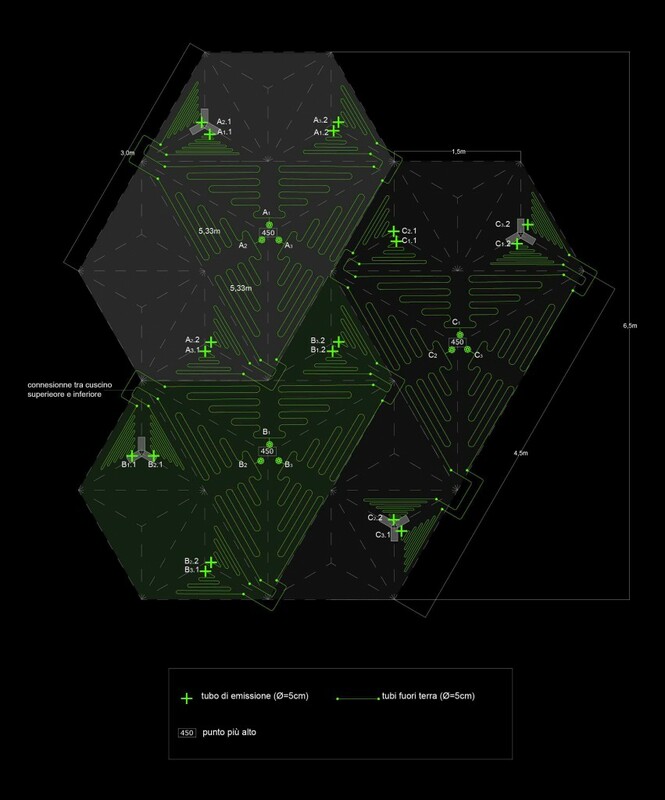 On sunny summer days the microalgae will grow rapidly thus increasing the shading potential of the architectural skin and improving human comfort; visitors, with their presence, will in turn activate the digital regulation system which will stimulate algal oxygenation, solar insolation and growth. In any given moment the effective translucency, the color, the reflectivity, the sound and productivity of the Urban Algae Folly are the result of the symbiotic relationship of climate, microalgae, humans and digital control systems. The Future Food District, designed by Carlo Ratti Associati for Italian supermarket chain COOP, is one of the thematic areas of EXPO 2015 “Feeding the Planet, Energy for Life”. FFD is composed of a 2,500 square meter pavilion (supermarket) and of a 4,500 square meter public square. The project explores new forms of interactions between people and products to re-imagine the supermarket of the future as a place for free exchange where everyone can be both producer and consumer. 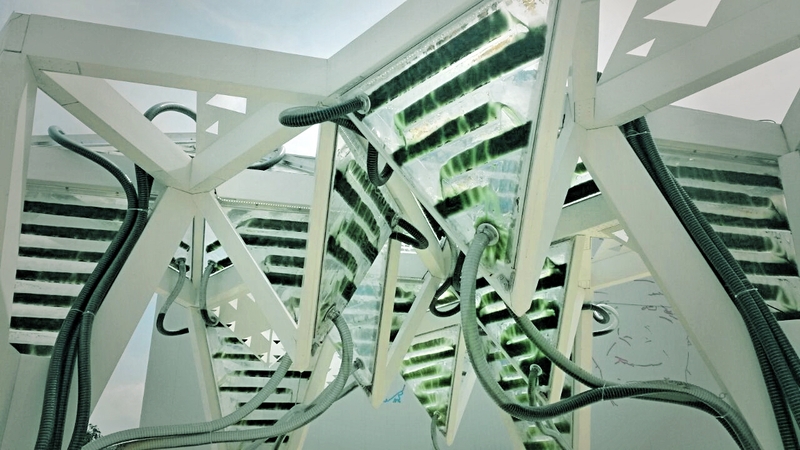 The visitors of the FFD are invited to interact with the Urban Algae Folly; they can join the harvest events and interact with the structure with their smart phones. © 2015 Syndebio. All images are copyrighted by their respective authors.